One of our goals is to provide young farmers, apprentices, and others with the resources necessary to begin farming or to expand their practice. We think that the knowledge of other Greenhorns will provide ballast and an ideal platform from which to share information. We aim to facilitate this information exchange through establishing a website as a framework for support through social networks, a comprehensive online reference manual of case studies, essays, and lists of recommended books and films. Until this site is up and running, we will post various essays relating to themes important to The Greenhorns on pages of this blog. You can navigate via the links on the right under Essays and farther down under Recommended Online Films. The Story of Synthia: Craig Venter’s plan to build a synthetic life-form by ETC, art by Sig. Please also see www.pixiepoppins.org, created several years ago by our director Severine von Tscharner Fleming as a resource hub for young agrarians. Sub “meat-eater” for “young grower” and you’ve got our mission statement. Check out Buford’s favorite of the lot, Hugh-Fearnley-Whittingstall, an unexpected British foodie celebrity who has not just gone back-to-land, but back to all the guts and gore of raising and cooking game. He discovered his passion for food in a restaurant kitchen where he learned how to turn each season’s bounty into a gastronomical adventure. HFW has since been articulating this adventure at the “great agrarian laboratory” River Cottage in the UK. We’re pretty sure our friend and fellow film contributor Dewolf Emery (seen here gathering clams on Cumberland Island) is going to do something similar here in the US. Look out. California: North, Bay and a bit of inland. This is an account of my first major shoot for The Greenhorns. Really the schedule was a narrative diatribe in the form of an itinerary. Oh, and the sweet spots of great light: 8 am and 5.20pm- when we could get highlights on cheekbones, and veins in the tree kale. The boys arrived into San Francisco airport. I went to pick them up on my folding bike with a backpack on my chest and one on my back- both full of special water with green powder and lime (against headaches) and a gallon of ratatoille I had made on an electric stove with vegetables from Ned’s farm, Blue House Farm. And a lovely little jar of sea salt that Brooke collected from the ocean in Mendocino. The one thing I knew for sure about those boys is that they’d be hungry. Boys generally are. I an Cheney and Taylor Gentry have started a little film business together called Wicked Delicate Films. I thought this was because the equipment was so wicked delicate, but turns out that is a compliment for really delicious blueberry pie. They like to wear blue shirts and blue jeans. Taylor comes from Iowa, and is a sweet dear– a hot, rolled-up-jeans-wearing, visual person. He gets a kick out of the good light, and though he started the trip riffing to his friends about the “environmentalist” documentary he was working on, by the end of the trip he’d fallen in love with a Santa Cruz surfer girl/farm-hand, and sought out fresh raw sweet corn–for the flaves. No more reindeer-hide pumas for this cat. Ian is still surfing his King Corn project, a well timed, well made, and very sweet film about Ian and his friend Curt, made by Aaron Woolf. The two boys went to Iowa and planted an acre of corn. Although I feel that the most interesting parts of King Corn’s kingdom was excluded from the film’s narrative (GMOs, Atrazine, NAFTA, the irresistible monoculture, Biofuel, Mexican immigration due to corn price depression in Mexico, hypoxia in the Gulf of Mexico…) these boys are good boys. They have this affable story, and benign insouciance that seems to charm reporters and critics alike. Its all very jauntily hip. To read about the farmers we interviewed, see our About the farmers page. A few slides below, but clicking on them won’t get you anywhere. Viva la tierra. Severine. The Irresistible Fleet of Bicycles is the blog for The Greenhorns, a documentary film about young farmers in America. 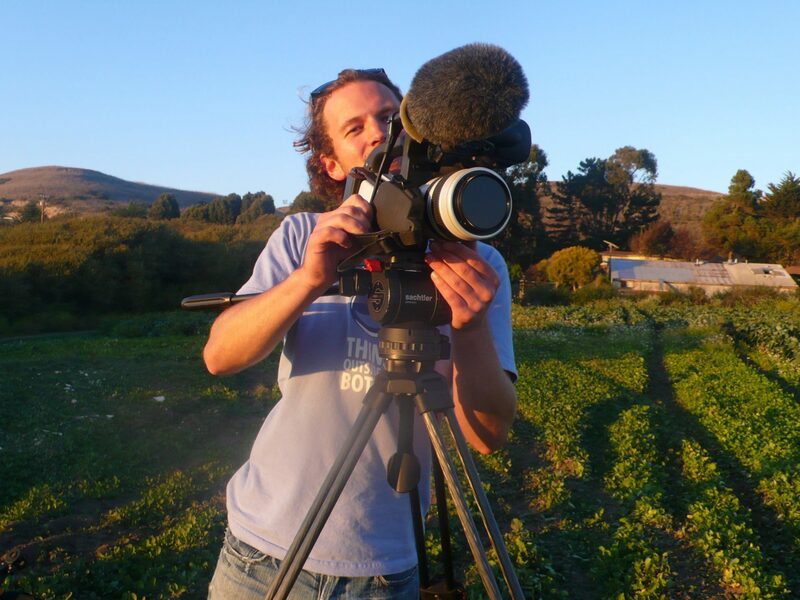 The purpose it to keep you updated on the progress of the film, to introduce you to the farmers, and to allow the filmmakers to share rants and raves on various happenings in the worlds of food + farm + films. The irresistible fleet of bicycles is a metaphor. It’s an image to help you visualize the joining. It’s the right scale for the future we’re building with The Greenhorns. It’s not a bandwagon or a steam train. There are no stations. There is no engine or caboose. It’s a critical mass of articulated cyclists. It’s a cavalcade of compassionate swerving and verving. It’s a people-powered, pedaling pop vox movement–and it is surging, swelling, rising up hills, taking over bridges, feeling the wind on your legs and your face and your hands. It’s going where we take it, it’s moving how we make it.